Simple guide how to exchange your crypto into cash using debit cards. Wirex to exchange crypto into FIAT and Revolut with the best FIAT currency exchange rates and free of charge use. Wirex is one of the service that you can easily exchange cryptocurrencies into FIAT. In early 2018 most of them was terminated, but Wirex is up running again. I’m also excited about new Bitwala and it’s crypto banking. Wirex account cost £1.00/€1.20/$1.50 per month and ordering card should be still free of charge. It takes less than a week to receive it. So you only pay the month cost which is pretty reasonable. On the Dashboard, scroll down to “Order cards”. Here is when you need the second card from Revolut. You can top up your Revolut card with Wirex card and it’s free. You can then withdraw cash from ATM with no fees and also pay everything with your card in almost every FIAT currency and make SEPA tranfers. Use Revolut app to order your card. You can order paper or physical card. It costs aprox. £5, but they sometimes have promotion with free cards for new users. Paper cards are cheaper but you can use them only online. Top up your Revolut account with Wirex card pay for your new Revolut debit card and shipping if you need express one. 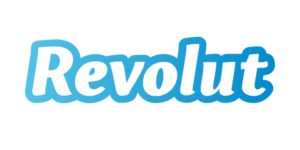 Everyday use is very simple send BTC, LTC or XRP from your wallet to Wirex wallets exchange for EUR, GBP or USD it doesn’t matter for Revolut usage. Use Revolut app and top up your account with Wirex debit card and you can spend all your crypto money in real world even when they do not accept any crypto. I use this combo for about half a year and it works very good. I love it. Before 2018 I was using Revolut and Bitwala combo.